$6.49 to $22.99 & FREE Shipping on orders over $59 $35. 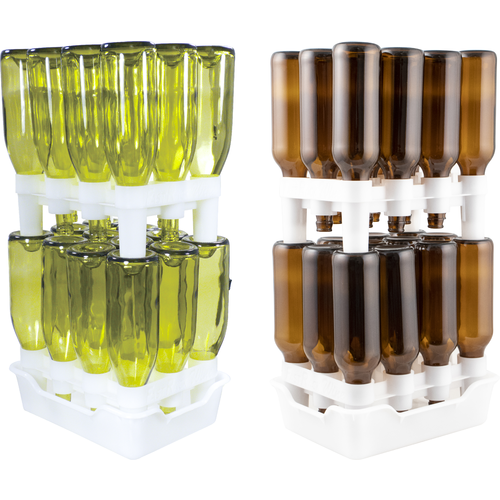 Because it’s made to hold wine bottles, the FastRack Wine Bottle Drying Rack & Storage System is just the right size for your 22oz beer bottles! It is the cleanest way to drain, stack, and store your empties. 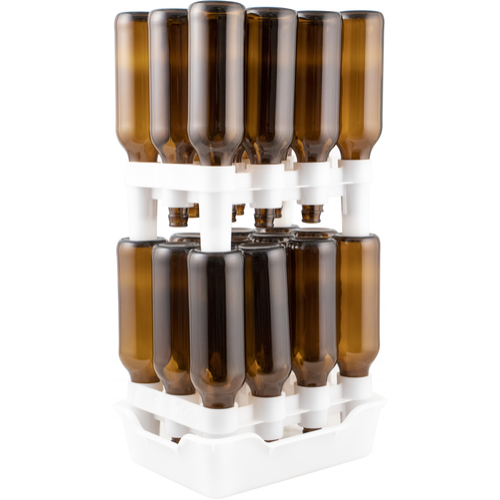 When bottling, use the FastRack to hold your bottles after sanitizing, and have them ready at hand to fill with your delicious homebrew! The FastRack Wine takes up far less space than a bottle tree.  We sell the Fast Rack in a handy combo pack, consisting of 1 Tray and 2 Racks, which is perfect for a 5 gallon batch. 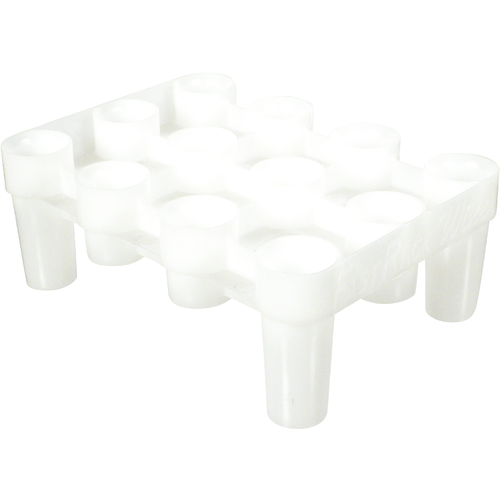 We also sell the individual components for larger batches and storing more cases! 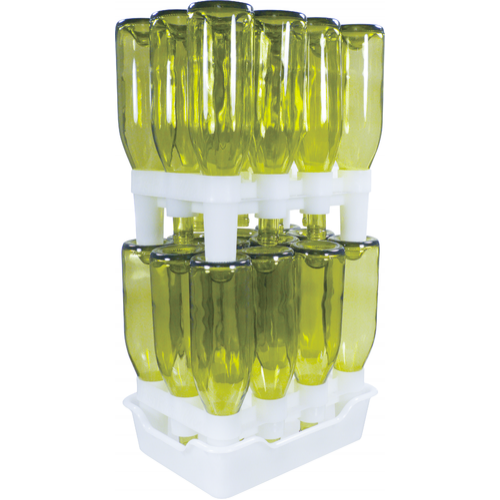 Each FastRack Wine Rack holds 12 x 22 oz (or 750 ml) bottles. very nice way to clean and store bottles. Have been needing a way to dry sanitized bottles. I have a precarious mess of cardboard boxes bursting with empties on the floor of my pantry. I ordered extra bases so a single level of bottles will fit on the pantry shelves and off the floor! For use with 22oz beer bottles. how high can the bottle racks be stacked? BEST ANSWER: I would not stack these bottle racks more than two high as they wobble too much and could easily fall over. Unless you are really short on floor or shelving space, why take any chances of breaking a dozen freshly cleaned bottles if something bumps the shelves or shakes the ground. I wold limit them to two sets high, maybe three if you have a full set of the same exact bottles on each layer. It really depends on the type of bottles being stacked (i.e. punt vs. flat and height). I’m not comfortable stacking bottles. I have four complete units which really aid in the transporting, washing and bottling. I first sterilize with k-meta and let dry. Bottles stay clean and ready. I have been using the type that looks like a tree with the bottles around it but they didn't completely drain the new racks stand straight up and drain completely I like that I can stack them also. Easier to use than the bottle trees I had used in the past. They can also be used to store the bottles and the inverted position keeps the inside relatively clean for your next use. Perfect! Much better tan a bottle tree and made a perfect base for my homemade bottle washer. Very pleased with the wine bottle drying rack and storage. It is a real space saver and works just as described. I bought the FastRack Wine bottle drying rack vs the normal FastRack Beer version because I use 22oz bombers instead of normal 12oz bottles and I can say that the FastRack Wine does a great job at holding all my bombers. It's very stable and makes drying and storing all my bottles a breeze. 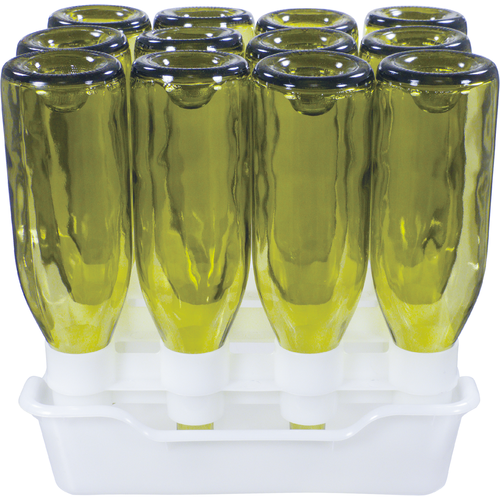 Great for stacking washed bottles to dry and for holding sterilized bottles at bottling time. I have stacked them as high as 5 or 6 high. If you stack just the racks it is very stable because the feet of the racks sit in the depression of the bottles below. 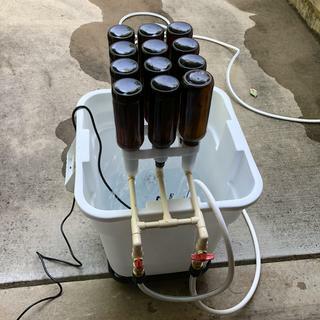 I built a bottle washer that allows me to place a fast rack with bottles directly on it. When I'm washing many bottles I put the rack on a tray and then stack the rack & trays on top of one another. Its less stable with the trays but I have had no problem stacking them 4 high. After trying to dry wine bottles in a dish rack and having them tumble down we tried this. Works great. Easy to use. Worth the money. I have 5 cases of 22oz bottles and thought these racks would be good for drying them after sanitizing. While the bottles fit in these racks MUCH better than they fit in the FastRack units for the 12oz bottles, the fit isn't very secure for the type of 22oz bottles I have (the bottles wobble around quite a bit and don't seem to sit very well). So, while I'm not 100% happy with the results, the racks will still be super useful for drying on bottling day.